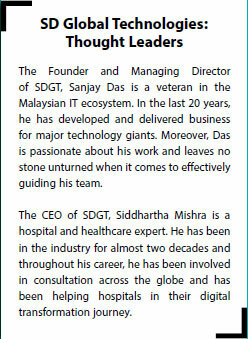 Das’s perspicacious vision is a concomitant of an accumulated 20 years of experience in the IT industry. Having worked with some of the most renowned multinational IT companies, Das has the experience of strategizing, designing, and executing multiple high-scale healthcare IT initiatives for numerous organizations across the globe. Hence, the thought leader possesses a broad and profound knowledge in the areas of strategy, creativity, innovation, management, and the overall healthcare IT business. Enlightened with this vast experience and in-depth understanding of the market and technology, Das and his transformative entourage are steadily guiding the digital metamorphosis of healthcare institutes through an extensive array of innovative products. Central to SDGT’s offering is its flagship product, MedCare—a Healthcare Information Management System (HIMS). Designed to offer impeccable value to businesses, the solution is built on the virtue of six synergy pillars. 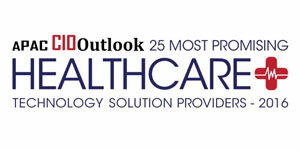 MedCare is a Single-window, Scalable healthcare solution with a foundation built on the State-of-the-art technologies. 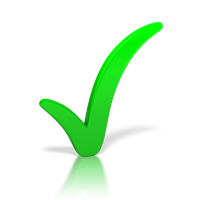 In one stroke, MedCare strikes the three ‘S’s, the first three synergy pillars. Elaborating on the remaining virtues, Das appends, “We work with our clients as partners and strive towards adding true business value to their organization, simultaneously achieving the best value for their money.” Being tried, tested, and used in more than 15 countries by thousands of healthcare practitioners and professionals, MedCare has emerged as a reliable and moldable solution: an HIMS not only integrating seamlessly with other third-party systems but also adapting and delivering on future business demands. MedCare includes over 67 pluggable modules categorized under Core Modules, Clinical Modules, Supplementary Modules, and Add-on Modules, engulfing 63 core processes. The Core Modules comprise of administrative functions such as patient management (inclusive of outpatient, inpatient, and emergency registrations), doctor management, complete inventory management, laboratory information system (LIS), operation theatre management, to highlight a few. Whereas the clinical modules encompass various medical specialties like Cardiology, Neurology, Dental, Ophthalmology, Oncology, Pediatrics, among others, which help in streamlining associated data-intensive processes. To cater to the supporting activities of a healthcare unit, SDGT has a set of Supplementary modules covering housekeeping management, diet and kitchen Management, ambulance management, central sterile supply department (CSSD), while the add-on modules tend to facility management, revenue cycle management (RCM), master data management (MDM), to name a few. With data being of utmost importance for transforming healthcare, SDGT is on a mission to fuel the data-powered revolution with functionalities that deliver reliable, shareable, and accurate data. The firm’s clinical data repository and clinical data warehouse offerings consolidate disparate data from various clinical, financial, operational sources, painting a complete picture of the care a patient has received and the resources utilized for delivering the services. 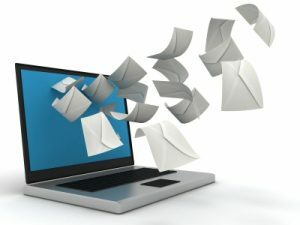 Whereas, the Automated Medical Information Exchange functionality assists in continuity of care as it transmits electronic data across various departments, clinics, and healthcare personnel. This feature enables improved and secure access, thus reducing duplicity and cost of patient care whilst enhancing exchange rate, quality, and safety of data. On the other hand, the clinical decision support system (CDSS) application analyzes patient data to help healthcare providers make informed decisions and the statistical system, diagnosis-related group (DRG), helps in patient data segregation and classification of diagnosed diseases, facilitating medical care reimbursement. Endowed with the honorific ‘Abode of Tranquility’, the Malaysian state, Pahang is a scenic beauty instilling calmness and psychological well-being. A natural setting is known to have such positive effects on human health and today medical professionals reinforce the significant role of the physical environment on improving patient care. Thus, Malaysia’s KPJ Healthcare leaped to design surroundings that improve the ‘healing’ experience. Digressing from the usual whitewashed spaces that enclose shades of gloominess, the healthcare provider, in its specialist hospital in Pahang, opted for an architectural design inspired by Pahang’s picturesque landscape. Due to their ability to pay attention to minute details and adopt creative and innovative strategies to enhance the quality of care, KPJ has emerged as Malaysia’s leading provider of private healthcare services. In their recent quest for technology adoption, the multispecialty hospital was in dire need of a holistic data management solution. After a thorough study of the functionality of the existing system, the team at SDGT developed a connected ecosystem of the earlier disparate applications—operating in silos. Leveraging SDGT’s deployed integrated system, KPJ Pahang Specialty Hospital experienced improved efficiency through reduced paperwork and seamless patient flow. As a comprehensive, modular, web-based HIMS, MedCare is suitable for small hospitals to multispecialty, multi-location clinics. SDGT offers the flexibility of choosing between private and public cloud hosting and the solution offers multi-device access. Having a whole gamut of features in MedCare, the company has served an impressive list of clients including KPJ, THONEH, and HLWE. Apart from the earlier mentioned case of the KPJ, Pahang having received encouraging results with the deployment of MedCare, THONEH Eye Hospital is another paragon of SDGT’s successful client stories with a unique set of requirements. MedCare was deployed at this hospital’s ophthalmology department for computerized physician order entry (CPOE) and for patient case sheets, resulting in the improvement of clinical documentation and CPOE-related efficiencies. As MedCare is an end-to-end solution, the ophthalmology department even leveraged it to manage accounting and finances. Under the banner of SDGT products and complementing the firm’s premium solution are CareAIM, CliniCare, and BiCare. CareAIM is a robust integration framework based on RabbitMQ integration engine and helps the deployed SDGT system connect with third-party applications for seamless data sharing. 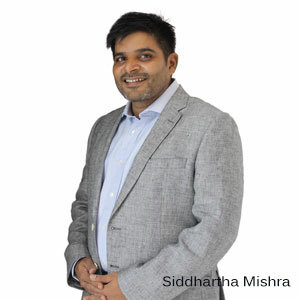 Siddhartha Mishra, CEO of SD Global Technologies expounds, “SDGT uses this tool in all the deployments to nurture the old legacy systems and keep them connected with future technologies.” In addition CliniCare, a cloud-based solution, enables HIMSS Stage 6 deployment for hospitals, significantly reducing paperwork for medical records and in tandem automating the order to billing cycle. Supporting HTML5 and native app requirements, the product offered is device-agnostic. Recognizing the need for an ecosystem with reduced discrepancies in bed availability and doctors’ availability, SD Global Technologies is swiftly working towards delivering a solution for preventive and long-term care management and is also developing cloud-based offerings for small hospitals and day-care centers. The proposed solution by the firm will enable self-monitoring of healthcare parameters within the comfort of a patient’s home, encouraging patients to be proactively involved in healthcare. The collected data can be effortlessly transferred on-demand to an individual’s primary care physician. Anchoring on the same system, the primary care physician will be able to utilize the visual care summary to diagnose, make recommendations, and prescribe medicines right from the physician’s clinic. Furthermore, to cater to the fragmented health systems, SDGT is working on developing a robust and scalable technology platform that fosters connected healthcare. Whether it is inherent diversity or acquired diversity, the firm embodies and embraces the power of human differences and the beauty of exhibited creativity. Since the firm’s establishment in 2013, SDGT has adopted the philosophy of multiculturalism. This human diversity coupled with the plurality of thoughts has developed a unique knowledgebase within the organization. With a team that includes Malaysians, Chinese, and Indians, SDGT has the ability to interact with hospital stakeholders in a language of their choice. Das draws attention to the company’s flexible work environment that offers the employees the liberty to not only indulge in thought experiments and nurture innovative ideas but also put them to practice. With immense confidence in the distinctiveness of their products and services, the firm envisages establishing a global footprint catering to Australia, New Zealand, and other Asia-Pacific countries. Thus, “Diversity unlocks innovation and drives business growth,” is the adage SDGT has passionately demonstrated.